I notice different memorial benches for a variety of reasons. Sometimes the story they tell is very sad, maybe someone has died very young or tragically. Other benches are in a place that is significant for me. There are also some memorial benches that bring a smile to my face and I think I would have liked the person that is being remembered. This memorial to Dave Smalley fits in to this latter category. 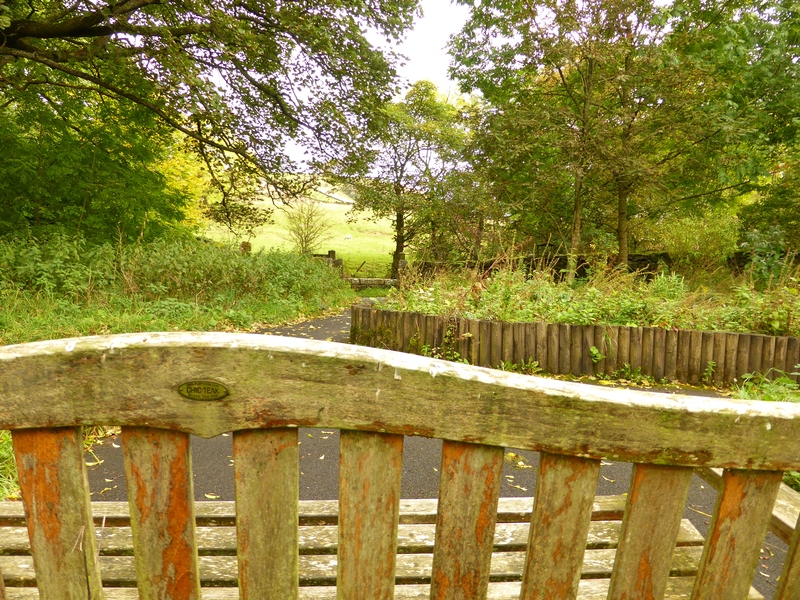 We were in the East Lancashire valley for the weekend exploring some of the beautiful places in that area. Wycoller Country Park is a small village in a wooden valley with a ruined old hall and three ancient bridges. It is a lovely place for a walk on a fine September day. 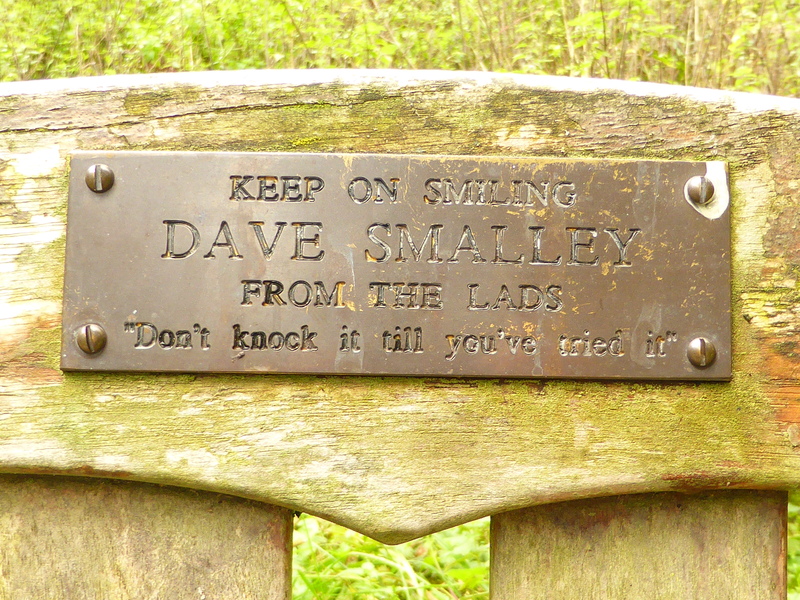 There are a number of memorial benches at Wycoller but this one caught my eye, was don’t knock it until you’ve tried it, Dave Smalley’s catch phrase I wonder?